Here's where I'll put a gallery of various other things I collect. 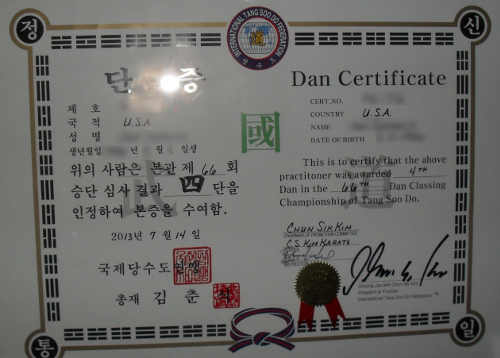 I tested for 4th dan in Tang Soo Do under the International Tang Soo Do Federation on July 12, 2013 (awarded November 9, 2013). I have been training in TSD since June 1999; hence, it's a pretty big part of my life. 2008 – 1st Place (breaking); this was the first 1st-place trophy I ever won. This was also the last year the trophies were this large. 2004 – 2nd Place (breaking); this was the first 2nd-place trophy I ever won, and what encouraged me to continue in breaking. I narrowly beat out a 2-way tie for 3rd place. 2008 – 2nd Place (forms); this was the first time I'd ever placed in the forms division. 2003 – 4th Place (breaking); this was my first trophy, technically a second 3rd place. I only won it because there were only four people in my division that year; I did much better the next year. 2012 – 3rd Place (breaking); this was the last year I tried to save money by buying my own boards at Home Depot. The boards I had were overly sappy, and only one of the stations broke. You'll also see a number of medals hung on some of the trophies. 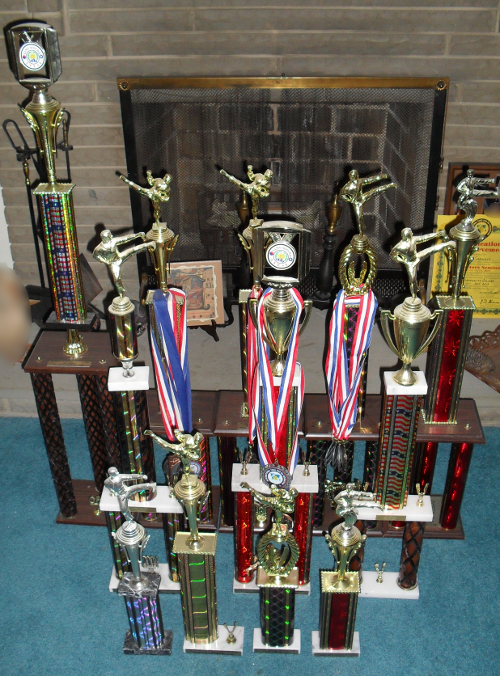 These were awarded at various fundraising tournaments, mostly for breaking as well.